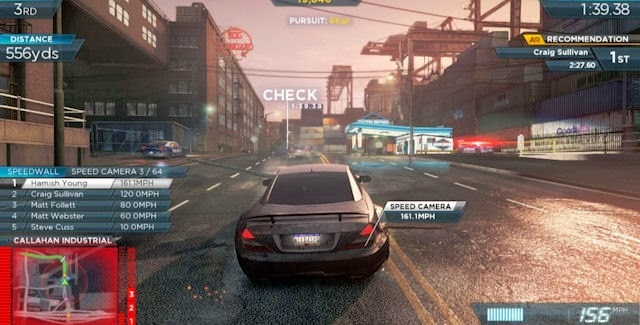 Need For Speed Most Wanted 2012 Game! Need For Speed Most Wanted 2012 Game System Requirements! 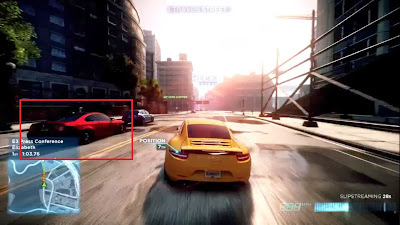 Thank you upload this game & can i run this game cpu : Intel (R) G41 Express Chipset, Processor : Pentium (R) Dual - Core CPU E5400 @ 2.70GHz (2CPUs), Memory : 990MB Ram, Approx Total Memory : 256.0MB, Please Reply can i run this game 100% work in my PC ? Please........ Reply......pls. awaiting for your reply. does it works in this??? it's just play offline or can be play online to? Can it works in my laptop? 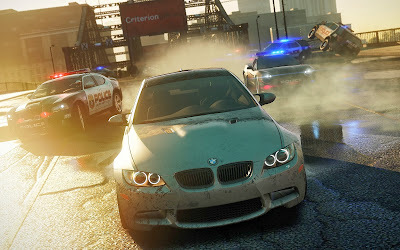 Thank you upload this game & can i run this game cpu : Intel (R) G41 Express Chipset, Processor : Pentium (d) Dual - Core @ 2.70GHz (2CPUs), Memory : 4.0GB Ram, Approx Total Memory : 512.0MB Please Reply can i run this game 100% work in my PC ? Please........ Reply......pls. awaiting for your reply. 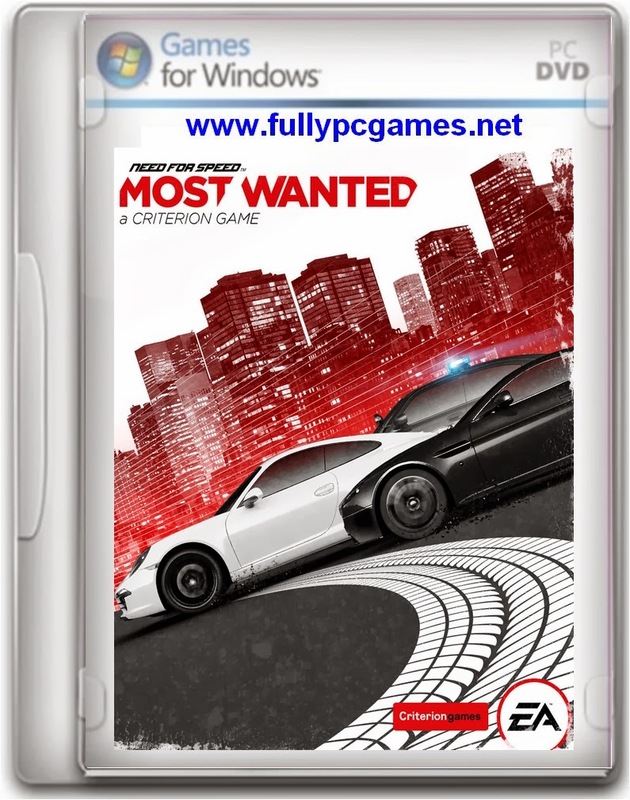 HOW TO DOWNLOAD THIS GAME!!! would i be able to play this one? i forgot to say i am using laptop? is still possbile? i think yes.if you have video card 512MB..
hey how to check video memory???????? click yes to the box that pops up. under system tab tell me what 'memory' says. go to the display tab..
sir can i run this game in my only dual core 1.60ghz? is this game virus free??????? Yes. its safe you can donwload..
No Dear ! you have need 512 MB Video Card..
it think no.you have need core 2 due and 2 GB Ram. is this full version ? And are you sure that it can run on window 7 32-bit. Admin, can i run this game if my pc Ram : 4 gb Intel I7 Quad Core Nvidia GeForce 745m? Please tell me that it will run or not. No Dear,you have need 512 Mb Video Card. I have 2.2 ghz dual core pentium, 1.6 gb intel HD graphics, will i be able to run this game ? The game runs on slow motion on my core i3 Dell Inspiron, ATI Radeon 5000 series, 1 gb video memory and 2.4Ghz speed ! Even with 4 gb of ram (3.89 gb usable) ? it will work in AMD 3000 radeon??? Admin I have a laptop..
i have pentium 4 proccessor. video card 256mb.directx11.i have installed the game but it tells you should have directx 10.
how can i download its torrent? where do you go to download it? i have 2 gb ram, 779 mb graphics memory, windows 7, processor : intel pentium cpu g620 @ 2.60ghz - 2.60ghz. please tell me this game is really work or not? No you can not play this game. Hi Bro Thanks for Upload This Game. Bro You Tell Me Can Not Play This Game. 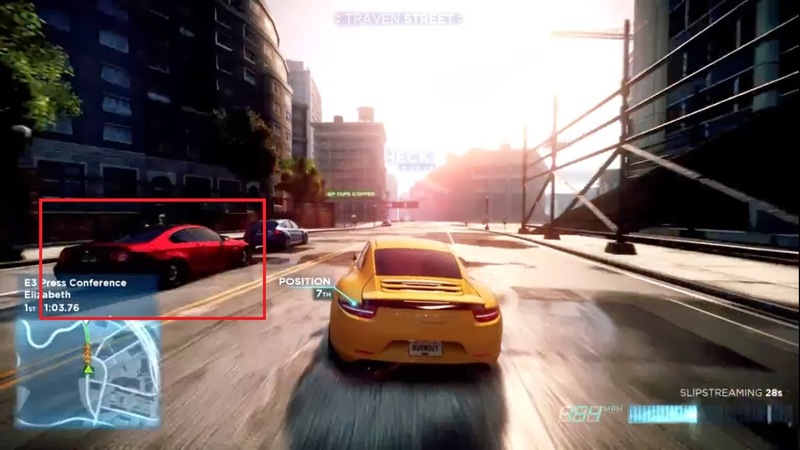 But NFS MW2 This Game Working On My PC...........Nice Game. Anyway Thanks Bro. Dear! You have need Intel core2due CPU if you want to play this game smoothly. i hope your problem will be solve.